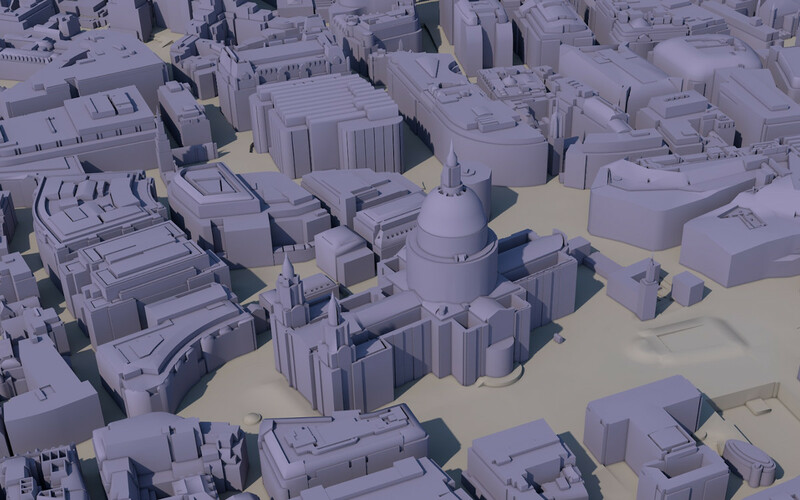 Photogrammetry-based 3D Model of London with 2 meters accuracy. 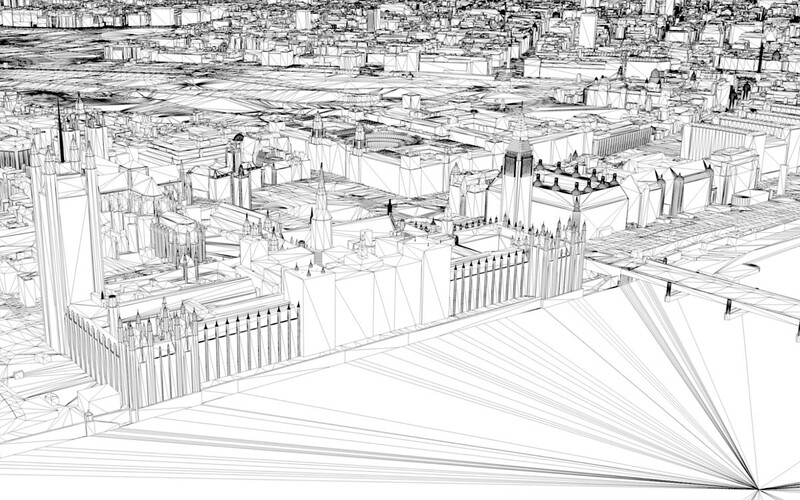 All buildings have been manually captured with correct roof shapes. 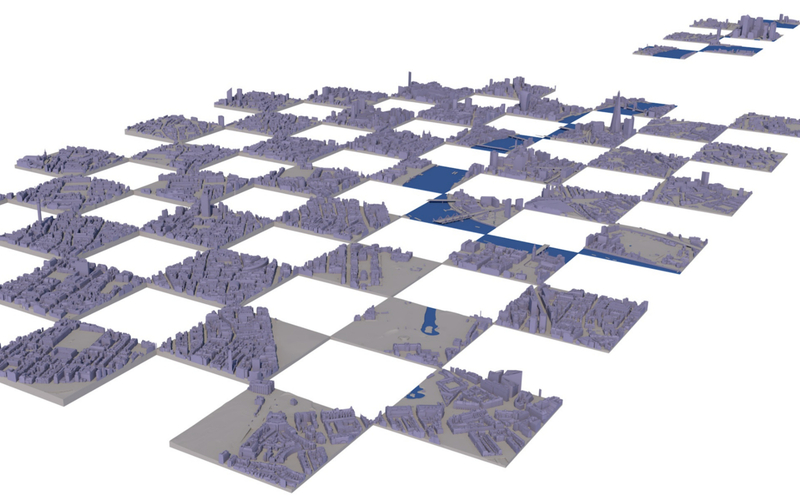 Base Model terrain includes all major elevations changes. 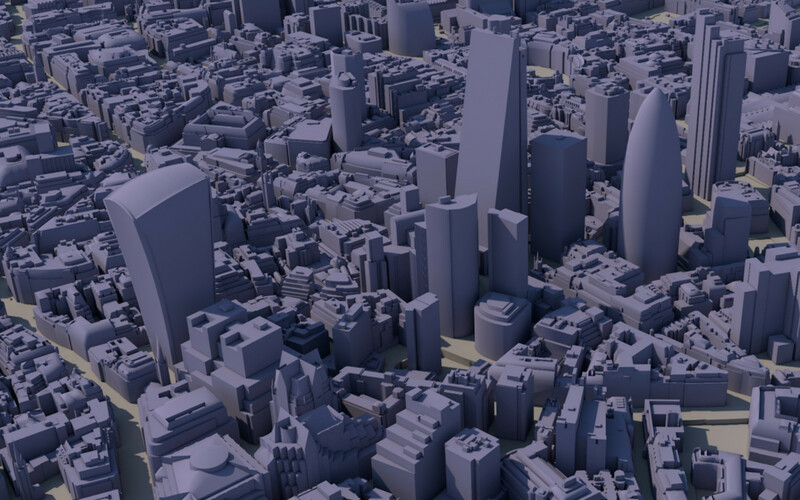 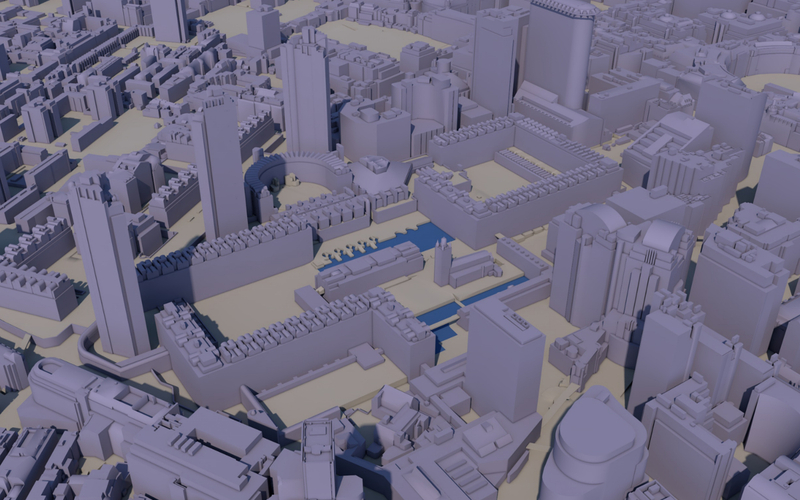 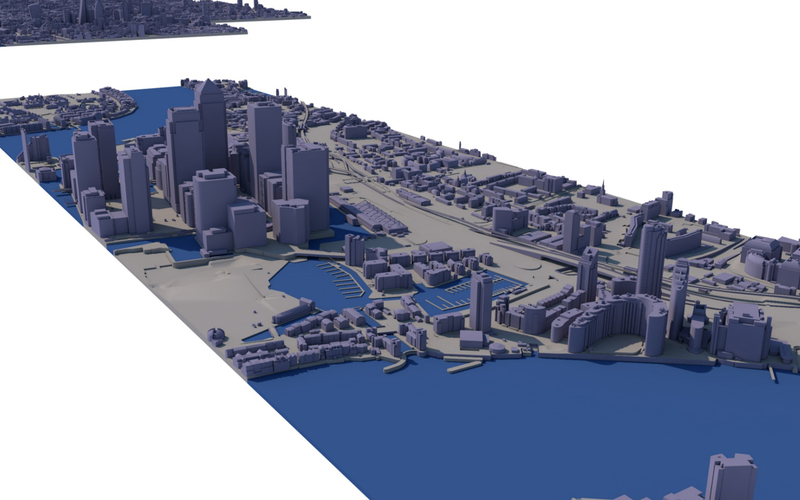 Renders of wide areas from Base 3D Model of London. 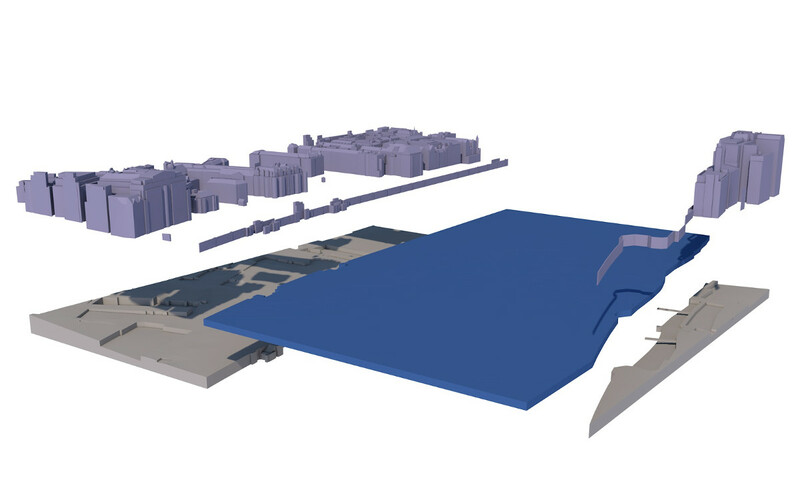 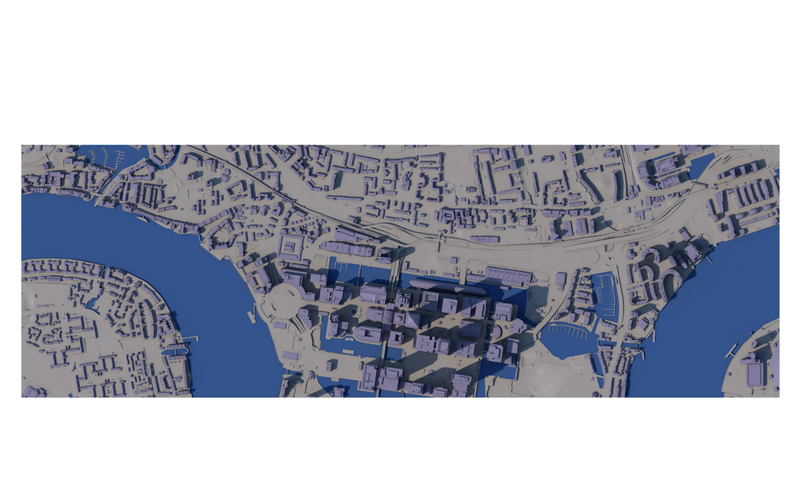 Base 3D Model covers 25 km2 of central London and Canary Wharf. 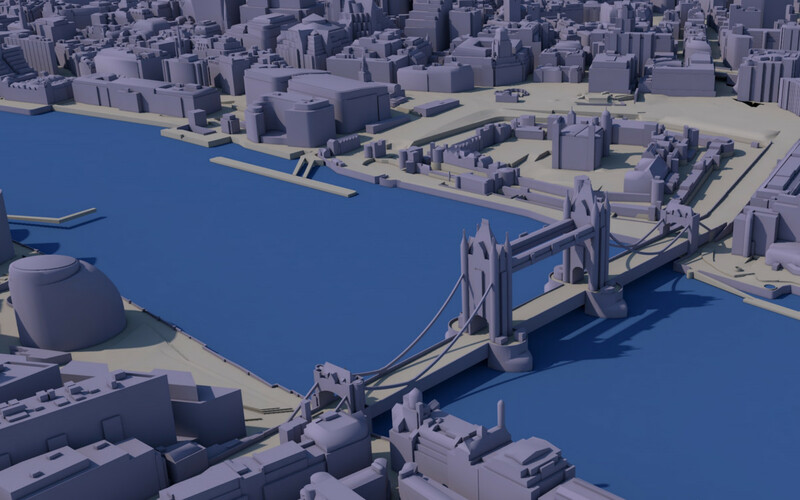 3D Model spans from Buckingham Palace to the West to Canary Wharf to the East. 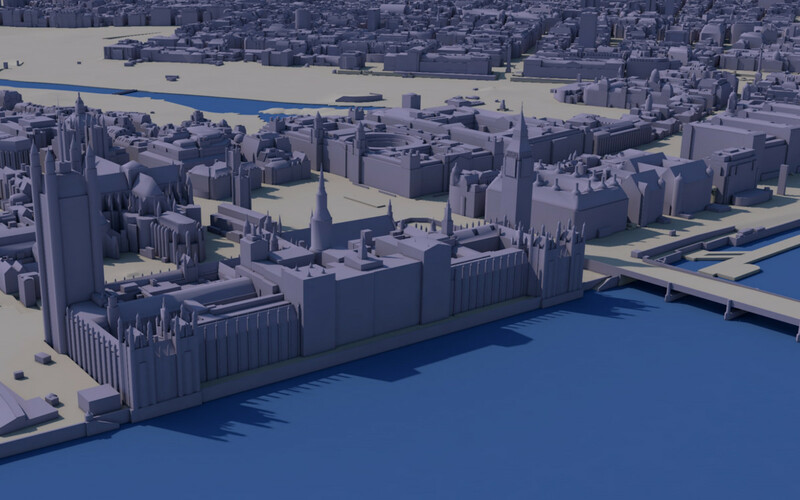 Also includes City of London, The Shard and Tower of London. 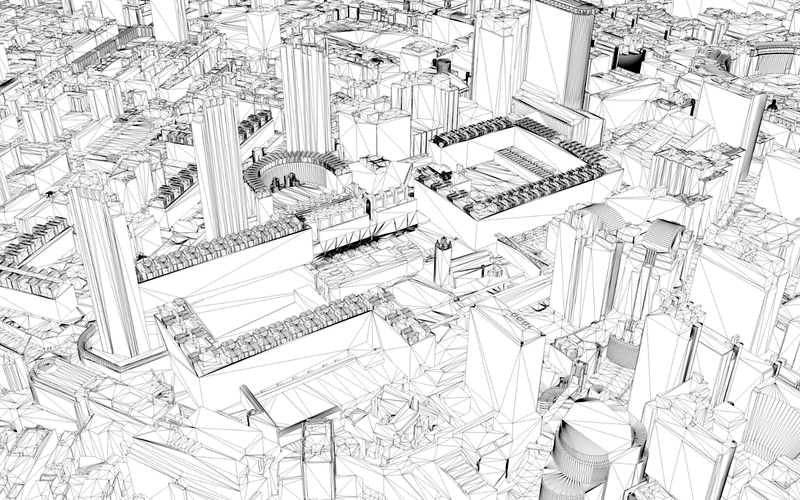 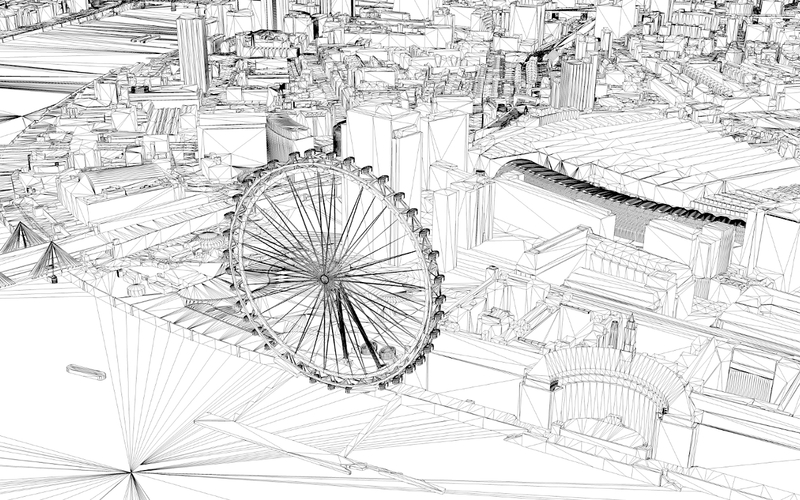 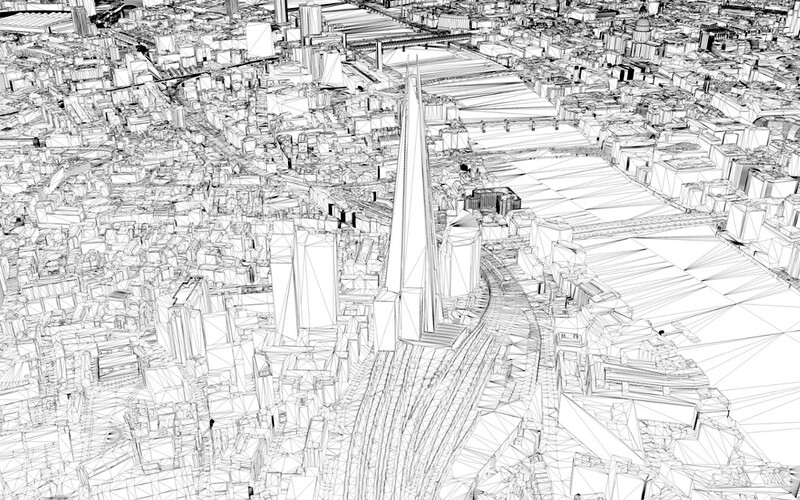 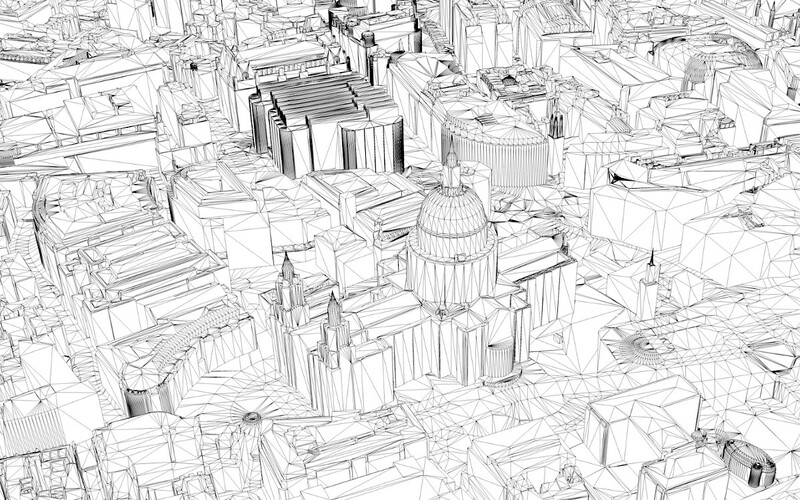 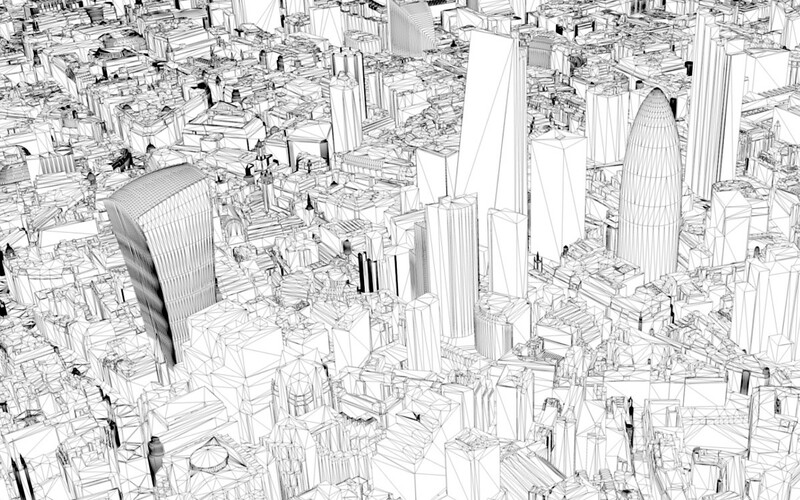 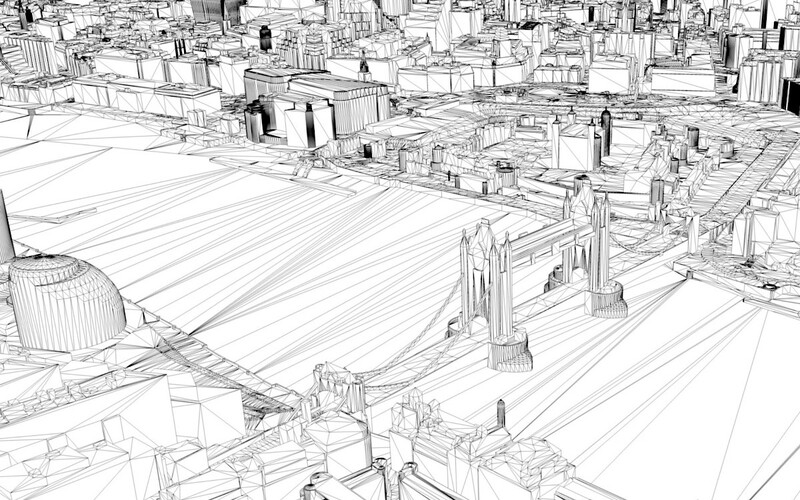 Renders of close-ups and wireframes from Base 3D Model of London. 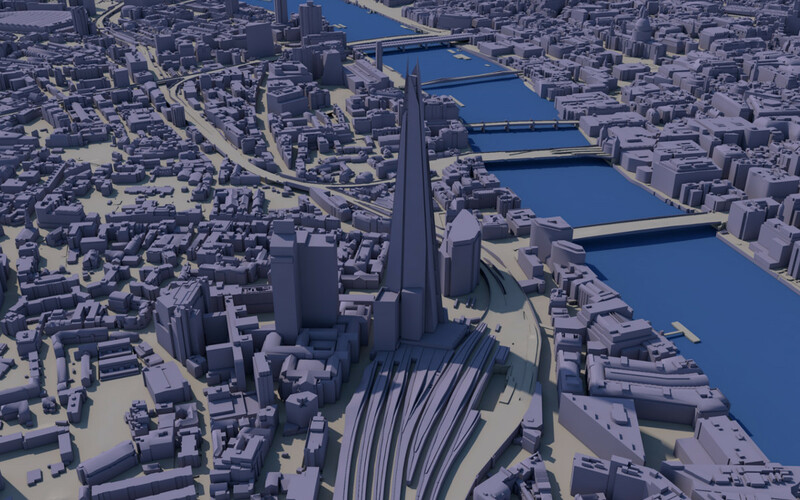 Includes City of London tower cluster, St. Pauls Cathedral, The Barbican, London Eye, Houses of Parliament, Westminster Abbey and Tower Bridge Station with The Shard. 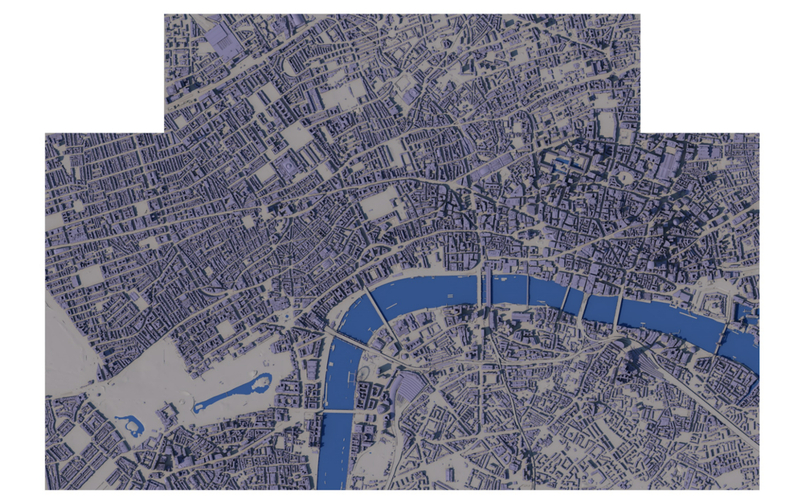 Renders of tiles and layers from Base 3D Model of London.